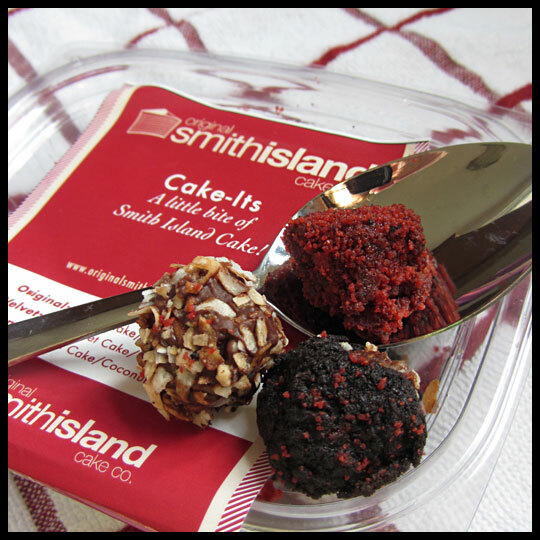 Pint-sized cupcakes are already hard to turn away, so when you take an already small treat and make it even smaller it’s next to impossible to say “no!” Today, we are sharing a collection of small bite treats we’ve sampled, from Smith Island Cake Company’s miniscule “cake-its” to a new Starbucks cake-pop flavor. While in the bakery section of the Giant grocery store, I spotted a wide variety of Smith Island Cake treats. I’ve never actually tried Smith Island Cake (you don’t have to say it… I know… it’s practically a sin among Maryland-based cake lovers), so was excited to see such an assortment. They had mini cakes (which I might have to get one day), slices of their famous layered cake, cake pops, and these teeny tiny little cake bites, which they call “Cake-Its.” I haven’t seen anything like them before, so snatched them up without a second thought. 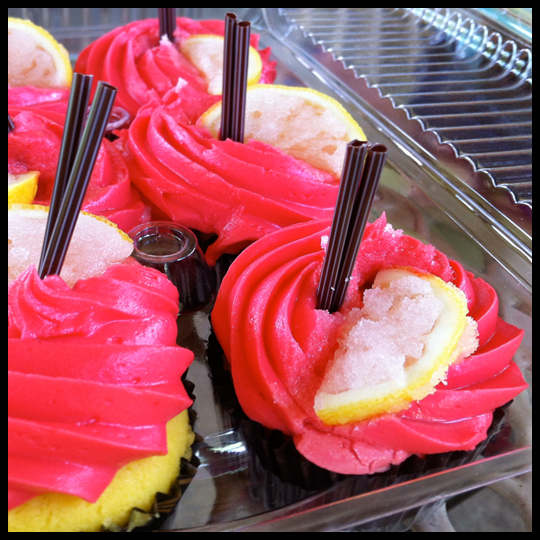 The flavors included were: Original (yellow cake/chocolate icing), Red Velvet (red velvet cake/cream cheese icing), and Coconut (white cake/coconut buttercream). 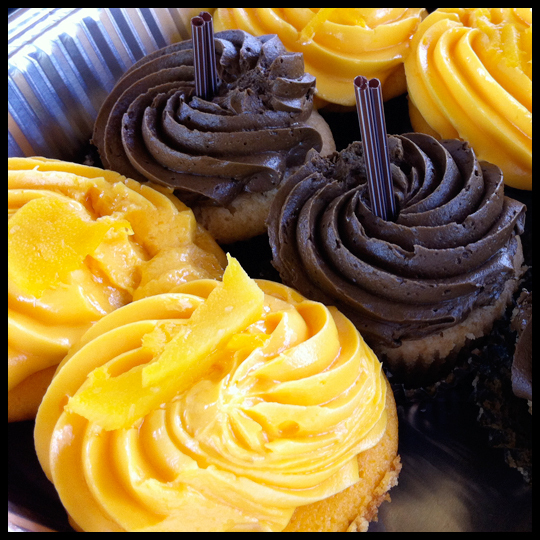 Even though Crusader’s Elisa’s review of their cupcakes didn’t have tons of positive things to say, she’s always said great things about their layered cake, so I was hopeful that these treats would be moist and delightful, and lucky for me, they were. I didn’t really have a favorite because each time I ate a new flavor, I would decide it was the best. Much smaller than a typical cake pop or cake truffle, each was like a little explosion of flavor. The Red Velvet had a good cocoa flavor, the Classic had a rich deep dark chocolate flavor from their signature frosting, and I thought coconut was perfect for any coconut lover. 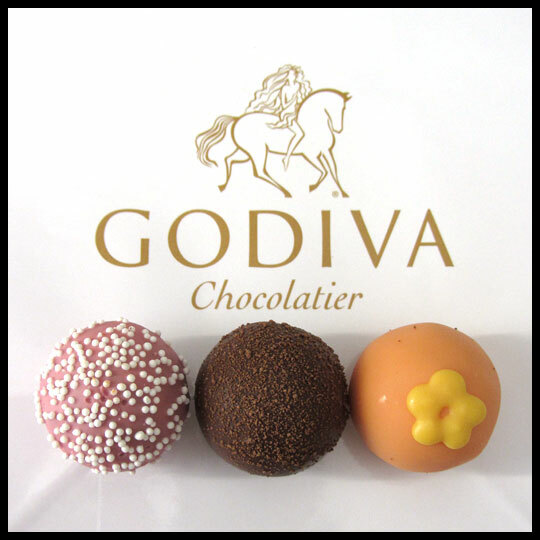 Being a long-time Godiva lover (let’s face it, who isn’t? ), I couldn’t wait to try their new line of cake truffles, which were created with the cake master himself, Chef Duff from Charm City Cakes. I wasn’t sure what to expect, but was able to pick up three flavors on my visit: Birthday Cake, Butterscotch Walnut Brownie, and Pineapple Hummingbird. To my (slight) disappointment, there was no cake involved, but these still had the wonderful creaminess and richness you would expect from a Godiva truffle. The Birthday Cake had a white (pink) chocolate outer layer, then a milk chocolate layer, and a “funfetti cake” center. This didn’t really have the “cake batter” like flavor I was hoping for and, for the most part, just tasted like a white and milk chocolate truffle. The Butterscotch Walnut Brownie ended up being my favorite, and was reminiscent of “brownie batter” with all the other flavors being very present as well. The final truffle, Pineapple Hummingbird, also had a good mixture of flavors, but was still missing that cake-like quality. If you’ve ever had a cake batter ice cream flavor, you know what I’m talking about. I still love Godiva, but I think I’ll be sticking to my favorite, the dark chocolate raspberry truffle, on future visits. 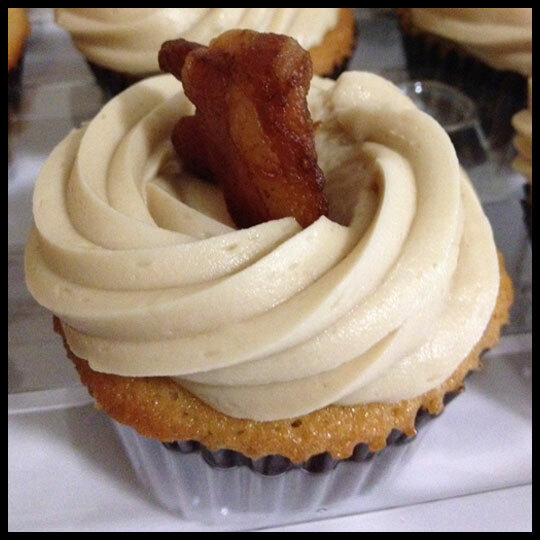 With Hamilton Bakery located a hop, skip, and jump from my front door, it’s a shame that their cupcakes don’t rank higher on my list. Despite that, their other baked goods and friendly customer service always have me stopping in for something. 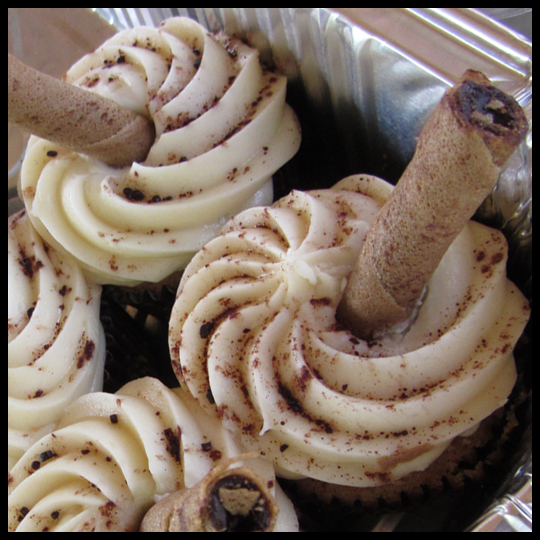 During a breakfast visit for a scone and a cup of Zeke’s I spotted this Carrot Cake cake truffle. 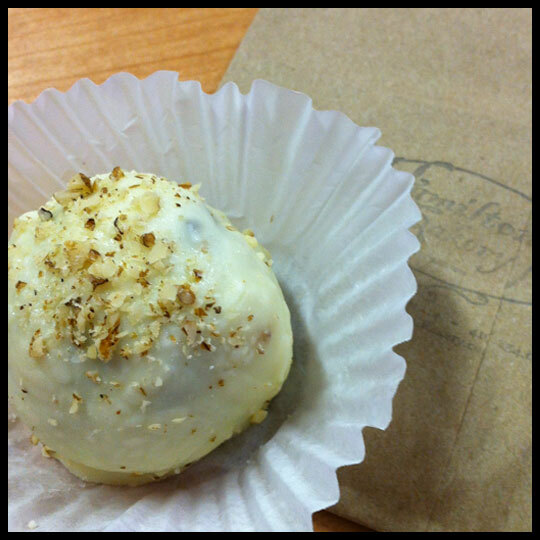 It was the first time I had seen cake truffles at Hamilton Bakery, so I quickly added that to my order. 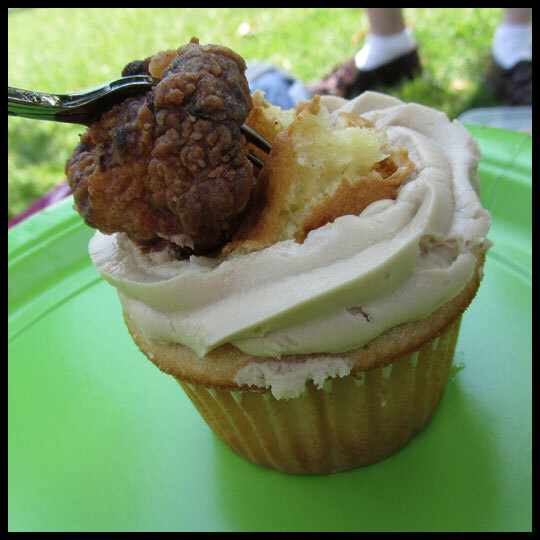 The texture was perfect: not too dry and not too mushy. 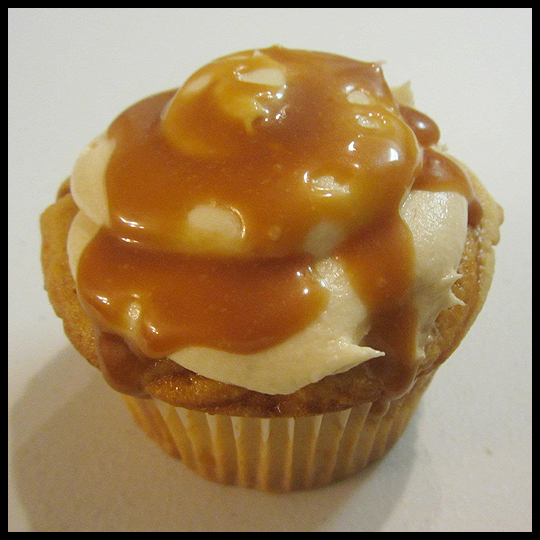 The spicy carrot cake flavor was also perfect and the thin coating of white chocolate didn’t overpower this bite-sized treat. 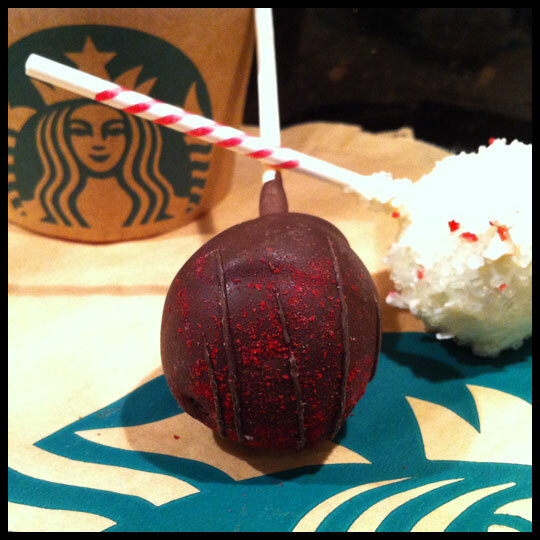 We are no strangers to Starbucks‘ cake pops. From the classic Birthday Cake to the seasonal Peppermint Brownie (also pictured above) we grab these sweet additions to our coffee break when a caffeine high isn’t enough. Recently we spotted a flavor we hadn’t seen before: Chocolate Raspberry. Crusader Jenn said this cake pop was good with rich moist chocolate cake and raspberry flavor. Although the raspberry tasted a bit artificial. How do you feel about cake pops, truffles, and other similar items? 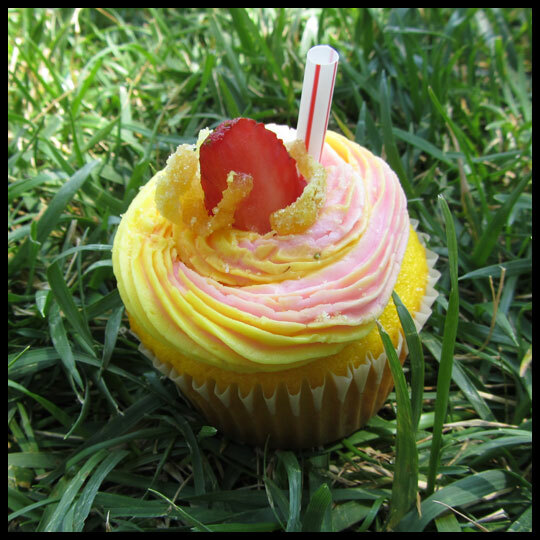 Do you think there is room in the dessert world for them and cupcakes, or will cupcakes always outshine these tiny treats?